Winners of the 2010 Greater Sydney Tourism Awards for Heritage and Cultural tourism. 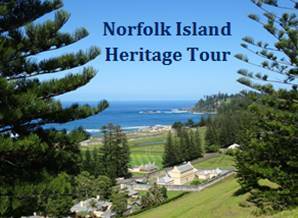 World heritage listing for Australian Convict Sites, that presents the best surviving examples of large-scale convict transportation and the colonial expansion of European powers through the presence and labour of convicts. The Australian pub, once the cornerstone of our culture, is dying a slow and agonising death. Join Mark Chipperfield’s personal campaign to save the Great Aussie Pub. Along with iconic structures such as the Sydney Opera House and the Sydney Harbour Bridge, Australia boasts some highly unique architecture that has been inspired directly by Aboriginal culture, the natural environment and distinctive wildlife.